Comfortable, custom-shaped Mahogany neck, 25.4 scale with 20 frets. Gibson-style adjustable truss rod, ebony finger board and bridge, AAA Sitka Spruce top, beautiful wood binding, abalone shell inlays, Gotoh 510 tuning machines, bone nut and saddle, finished with environmentally friendly water-based acryllic lacquer. 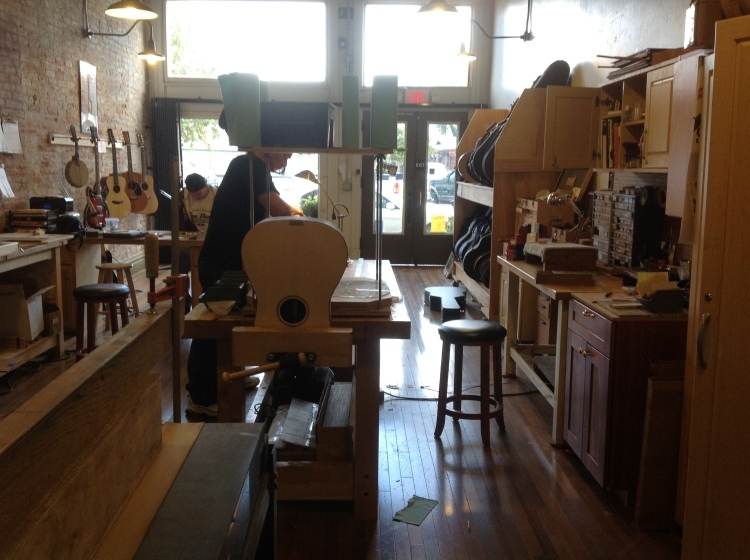 Shown: Cocobollo body with Mastergrade Sitka Spruce top and buterfly inlays. Built in traditional fashion using high quality woods, we are now offering a Classical model for sale. 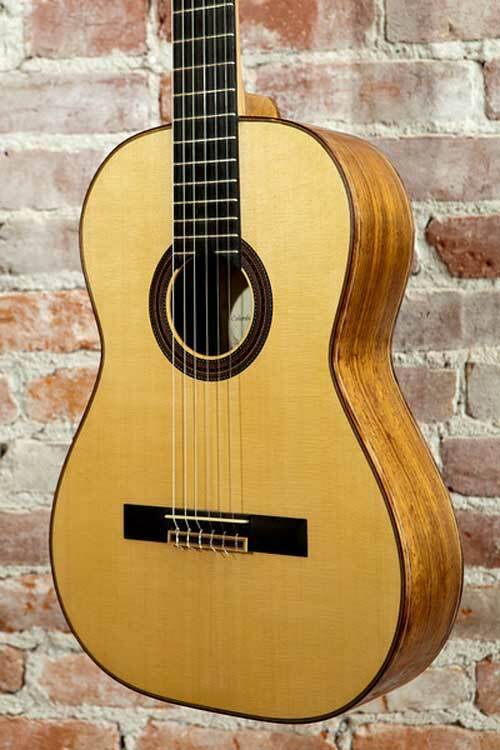 This guitar uses the Hauser 1937 bracing plan, which Andres Segovia called "the guitar of the epoch." 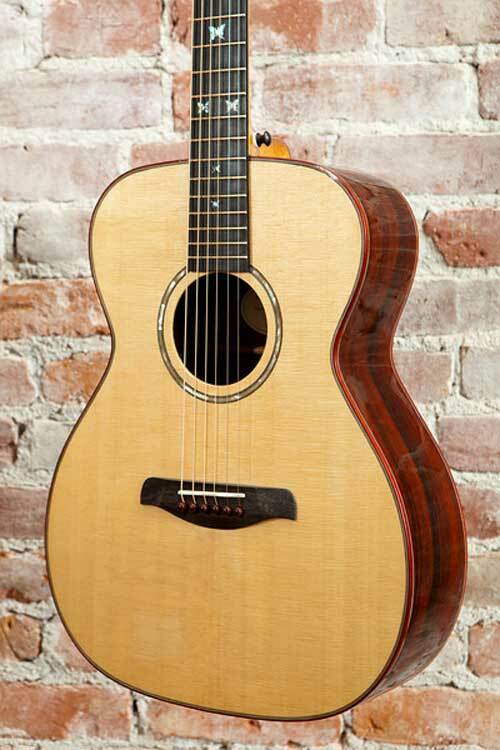 The Classical features a 650 mm scale, ebony fretboard and bridge, Carpatian Spruce and Honduran Rosewood body. Other woods are offered according to availability.